We were created to glorify God and to enjoy fellowship with Him. God’s purpose in saving us is to bring us into a right relationship with Him and to make us suitable to Himself so that He can enjoy us and we can enjoy Him. “Woe is me! for I am undone; because I am a man of unclean lips…for my eyes have seen the King, the Lord of hosts” (Isaiah 6:5). What caused Isaiah to cry out, “Woe is me”? It was his sense of sinfulness. Isaiah knew that he was sinful. He knew that he did not have the righteousness that he needed to be in the presence of such a glorious and holy God. To enjoy fellowship with God, I must not only be forgiven of all my sins, but I must have a righteousness that is acceptable to Him. God says that “all our righteousnesses are as filthy rags” in His sight. Forgiveness is like taking a bath to get rid of the dirt; righteousness is like getting rid of my “rags” and putting on new clothes. 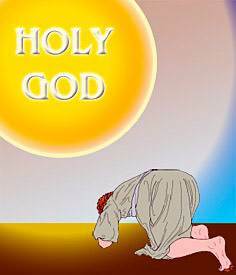 When I think about coming into the presence of the holy God, I need forgiveness to get rid of my sins, but I also need to be “clothed” in a special way. I must be clothed with a righteousness that is acceptable to God. 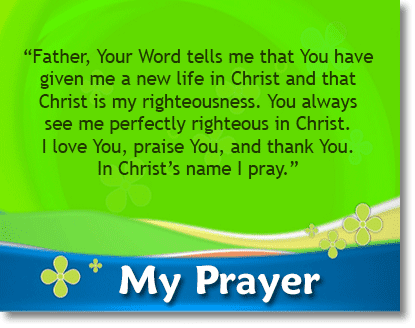 He gave Christ to me as my righteousness. To put it simply, God got rid of all that I am and gave me Christ as my righteousness. Let us see how God does this. 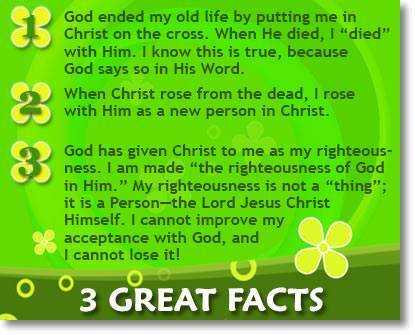 There are two great facts which are true of every believer: Christ died for me, and I “died” with Christ. “…Christ died for us” (Romans 5:8). “Knowing this, that our old man [our sinful self] was crucified with Him [Christ]…” (Romans 6:6). “For we are His workmanship, created in Christ Jesus unto good works, which God has before ordained that we should walk in them” (Ephesians 2:10). In myself, I am not righteous, but God has made me perfectly righteous in His sight. How did God do this? He put me in Christ. 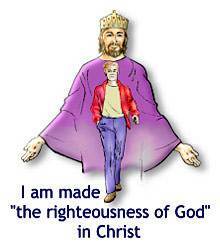 I am made the righteousness of God in Christ. “For He [God] has made Him who knew no sin to be sin for us; that we might be made the righteousness of God in Him” (2 Corinthians 5:21). 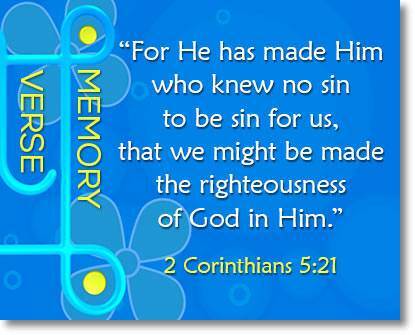 This verse says that I am “made the righteousness of God in Him,” that is, in Christ. Just as God looks at Christ and sees Him perfectly righteous, so He looks at me and sees me perfectly righteous in Christ. 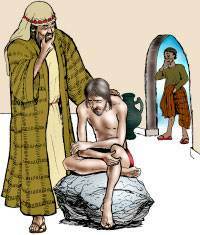 When the prodigal son returned to his father, he had no idea how he would be received by his father. The father ran to meet him and “covered him with his kisses.” At that moment the son knew how his father felt toward him. He knew that he was loved and accepted. But even though he knew that he was forgiven and accepted by his father, he was still dirty and in rags. He could not be completely happy because of his condition. What did the father do? 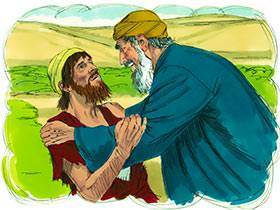 He told his servants, “Bring forth the best robe, and put it on him.” We may be sure that this new robe was not put over the prodigal son’s dirt and rags. He was given a bath, and his old clothes were taken away. Then the servants put “the best robe” on him. It is called “the best robe” because there could be no better. What was the son’s situation now? He was washed from his dirt; he had clean clothes; and he was wearing the best robe. He knew that he was now fit to be in his father’s presence. He could now enjoy being with his father because his father had made him suitable to himself. The son did not say, “I just do not feel that I can accept this robe because I am so unworthy.” He honored his father by joyfully receiving what his father provided for him. The “best robe” not only made the son suitable to his father, but it made him conscious of his suitability. God’s “best robe” is Christ. This story has a deep, heavenly meaning. The Lord Jesus told us this story because He wants us to know what God the Father has done to make us suitable to Himself. What is God’s “best robe”? 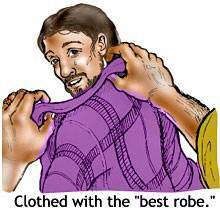 God’s “best robe” is Christ! God has no other robe to make us suitable to Himself. No one can come to God except by Christ. “And this is His name whereby He shall be called, THE LORD OUR RIGHTEOUSNESS” (Jeremiah 23:6b). “To the praise of the glory of His grace, wherein He has made us accepted in the Beloved [Christ]” (Ephesians 1:6). God always accepts me according to the way He sees me in Christ, and not according to my conduct. 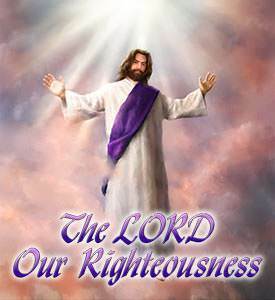 My righteousness before God is Christ Himself. He is my “best robe.” God never takes back His “best robe.” I may fail many times, but Christ is always my righteousness before God. Though I cannot lose my position before God, I can lose the enjoyment of my position. If I do things which are displeasing to God, I will lose my joy. When I lose my joy, it means that there is a serious problem in my life which needs to be corrected immediately. Sin has come in and broken my fellowship with God. How is this problem corrected? 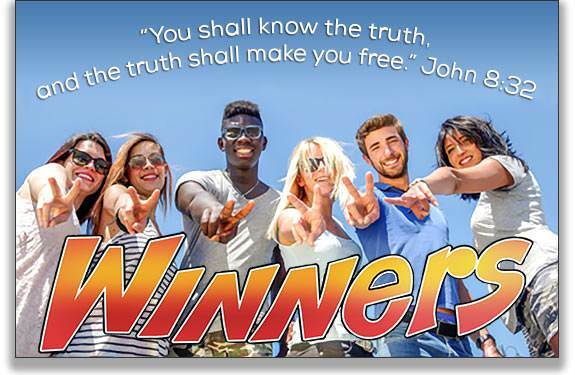 It is corrected by confessing that sin to God and forsaking it. “But as He which has called you is holy, you also be holy in all manner of conversation [daily living]” (1 Peter 1:15). 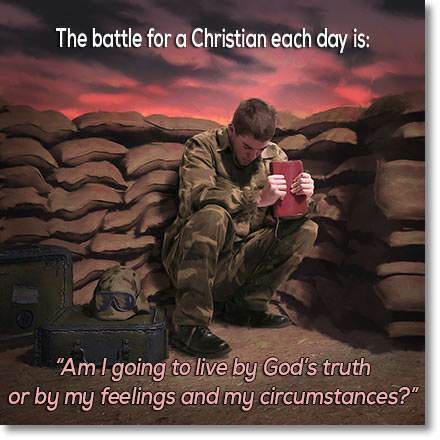 “Walking by faith” means that I am living by God’s truth, counting on what I am in Christ. “Walking by sight” means that I am living by my feelings and circumstances. Because they rebelled against the Lord and against Moses whom God had called to lead them, the children of Israel wandered in the wilderness forty years. The older generation, who had murmured and complained, died in the wilderness. When God wants someone to do a great work for Him, He does two things: (1) He calls them to do it, and (2) He promises to be with them. When a person knows that He is doing what God called him to do and God is with him, he is sure of success. “Be strong and of good courage: for unto this people shall you divide for an inheritance the land which I sware unto their fathers to give them” (Joshua 1:6). “There shall not any man be able to stand before you all the days of your life: as I was with Moses, so I will be with you: I will not fail you, nor forsake you” (Joshua 1:5). The children of Israel were now at the river Jordan. 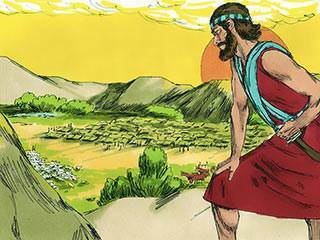 Across this river was the land of Canaan—the land which God had promised to Abraham and his descendants. There were no bridges and it was the time of year when the Jordan overflowed its banks. How could a great multitude of men, women, children, and baggage cross this raging river? 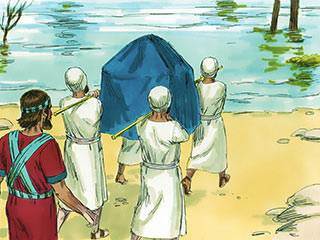 Joshua told the priests to take the Ark of the Covenant, which was the symbol of God’s presence, and step into the waters. When the feet of the priests touched the water, the water stopped flowing. All of the people crossed over on dry ground. God had done the impossible! God had said to Joshua, “As I was with Moses, so I will be with you: I will not fail you nor forsake you.” God had parted the Red Sea for Moses, and now He had parted the waters of Jordan for Joshua. God is always doing the impossible for those who trust Him. 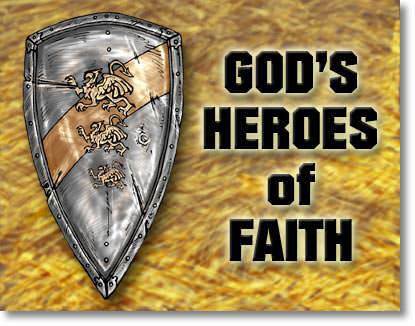 Joshua was the man chosen by God to lead the children of Israel into the land which God had promised them. In this he is a type of Christ. Christ is the One chosen by God to be the Leader of our salvation. “For it became Him, for whom are all things, and by whom are all things, in bringing many sons to glory, to make the Captain of their salvation perfect through suffering” (Hebrews 2:10).